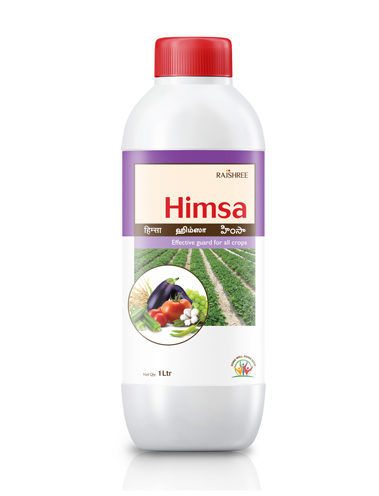 HIMSA protects the crops from aphids, thrips, jassids, scales and red spider mites. Vegetables, Tea, Grapes and Fruit crops. Available in 100 ml, 250 ml, 500 ml & 1 Litre packs. 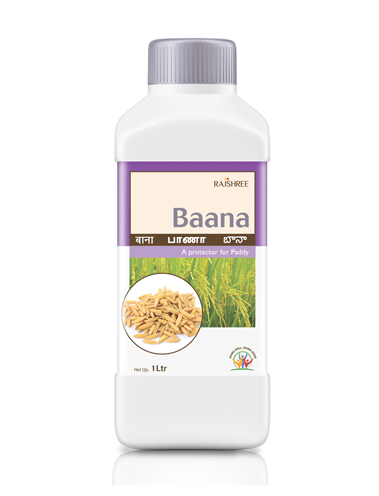 BAANA protects the crops from brown plant hopper (Paddy) and white flies. 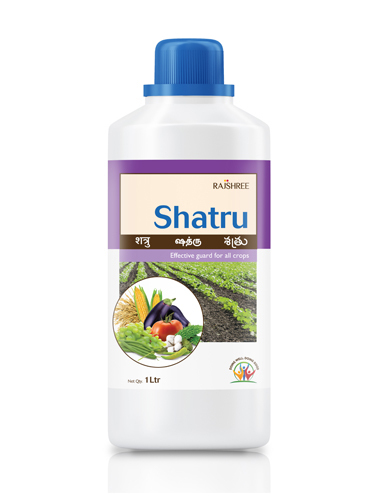 SHATRU protects the crops from chewing pests, boring insects (Fruit & Shoot borers), and leaf eaters (Diamond back moth, Cauliflower leaf webber, Paddy leaf roller). Vegetables, Paddy, Pulses, Cotton and other fruit crops. 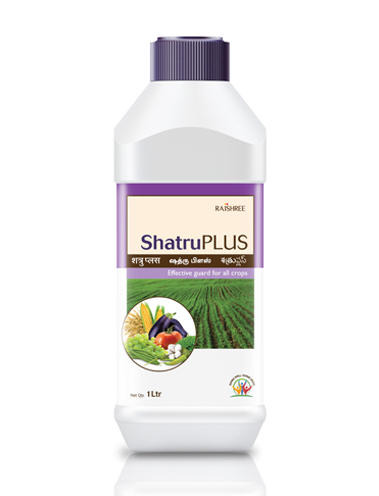 SHATRU PLUS protects the crops from thrips, red spider mites, aphids, jassids, scales, chewing pests, boring insects (Fruit and Shoot borers) Cotton borers and Leaf eaters (Diamond back moth, Cauliflower leaf webber, Paddy leaf roller). 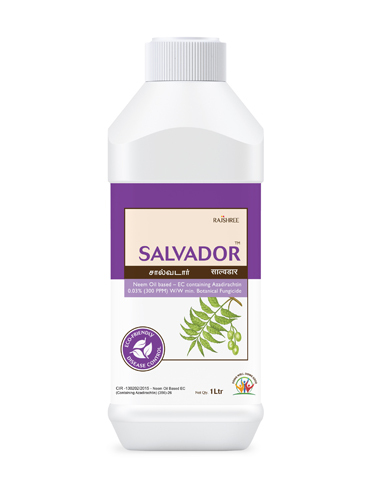 SALVADOR protects the crops from foliar, soil borne fungal and bacterial infections like wilt, damping off, leaf blight and leaf spot. Vegetables, Paddy, Pulses, Beetlevine, Cotton and other fruit crops. 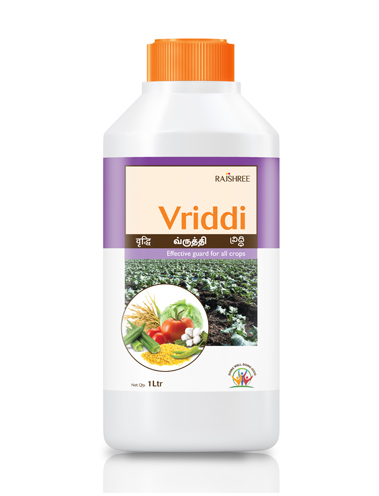 VRIDDI protects crops from viral diseases. Vegetables, Pulses, Cotton and other fruit crops. 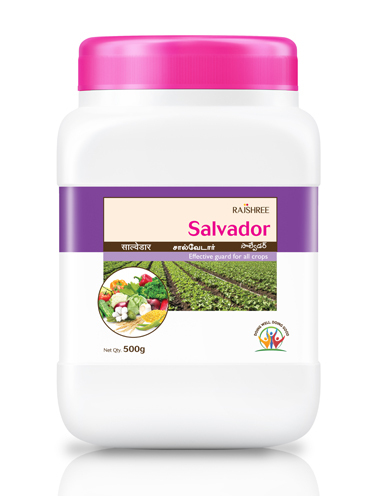 Salvador (300ppm-azadirachtin) is Neem oil based emulsifiable concentrate that is effective in controlling a wide range of fungal diseases of agricultural crops. Brights, Blasts, rusts, Smuts, powdery and downy mildews etc. Available in 1Litre, 500ml, 250ml & 100ml bottles. 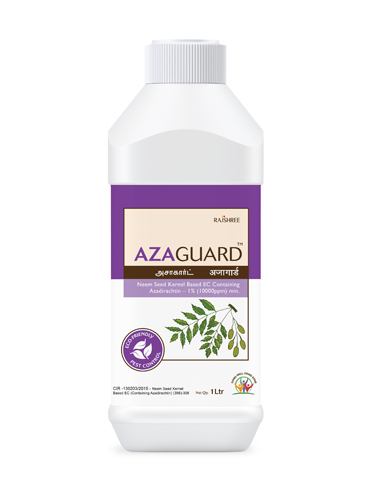 Neem guard (1% Azadirachtin) is an emulsifiable concentrate that is effective in controlling a wide range of pests (sucking & chewing) of agricultural crops. Azadirachtin 10,000ppm along with other limonoids.